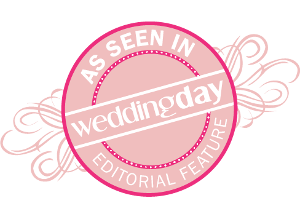 "Thank you so much for your wonderful help with our wedding! We couldn’t have asked for a better vendor in your team! Your customer service was just fantastic. We couldn’t have pulled off our wedding without you guys!" "Thank you so much for the generous discount for the "Be the Light" Fundraiser. We sincerely appreciate your support for this event and for everything you do for the community." 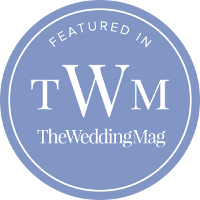 "Thank you for all your hard work on our wedding arrangements. Everything went perfectly and the set up was exactly what we wanted! It was great to have everything taken care of so we didn’t have to worry about anything." "Thank you ever so much for the generosity of your donation of rental credit for the stage, projection screen. Everything was set up so professionally for the Mishawaka Education Foundation "Grow the Future" dinner. MEF appreciates your gift!" "Thank you for prompt and courteous attention to my order. Your customer service skills are exceptional and over the top. You have exceeded my expectations and I am SO pleased. Your driver was also very professional and very nice. Set up and unloading went very smoothly." "Thank you for your support of our Partners In Pride - The Auction. Your donation helped make the event a great success. We appreciate your support of our mission." "We were blown away by the decorating that Burns did for our very special event this past weekend! I was AMAZED when I saw the finished production when I arrived. I am telling you; if you are planning an event, no matter how large or small, you need to consider these folks at Burns Rentals. They blew my mind! I can never thank them enough! Five stars, Burns! Thank you so much for making our celebration magical for us!" "Thank you so much for the generous discount for the “Be the Light” Fundraiser. We sincerely appreciate your support for this event and for everything you do for the community." "Over the years, Burns has served the needs of so many charities and social events it is difficult to recount them. I credit Burns’ enormous success to your close supervision of each and every event. Please accept my very sincere appreciation for everything you have done for me and for those functions for which I have been responsible for almost forty years." "Thank you from the bottom of our hearts for the decorating & organization and your tireless commitment to transforming the barn into a spectacular wedding celebration! We are so grateful!" "Thank you ever so much for the generosity of your donation of rental credit for the stage, projection screen. Everything was set up so professionally for the Mishawaka Education Foundation “Grow the Future” dinner. MEF appreciates your gift!" "Thank you for prompt and courteous attention to my order. Your customer service skills are exceptional and over the top. You have exceeded my expectations and I am SO pleased. Your driver was also very professional and very nice. Set up and unloading went very smooth."